Formstack is one of the leading digital form builders with which you can create and manage everything from surveys, applications, registrations, and payment forms. With DashThis, you can track all your data in one great-looking and easy-to-use Formstack report. Create your Formstack report today! 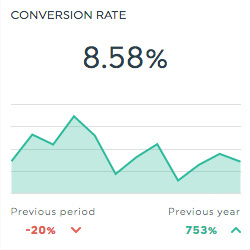 This historic widget shows the percentage of clicks on your form that led to a conversion (whatever your definition of conversion may be). This is calculated by dividing the number of conversions by the number of clicks, and multiplying the result by 100. 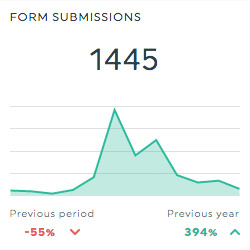 This historic widget shows the total number of submissions your form received. This number widget shows the total number of times your form was viewed. Want to see all our Formstack preset widgets? This is the total number of times people took a desired action after clicking on or seeing your form. 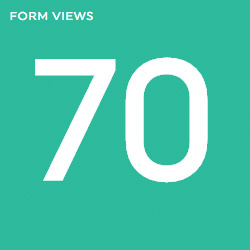 This is the total number of views your form received. Want to see all our Formstack metrics, segments & dimensions? How do I create reports and dashboards for Formstack?